Traditional IPA, a session-worthy English-style IPA (5.9%). Perfectly balanced, I fell in love with this beer the first time I tried it. Long Trail Ale, the brewery’s flagship beer. This sessionable Amber Ale is modeled after the Altbier of Düsseldorf, Germany (4.6%). Pale Ale, a classic English-style Pale Ale (5.7%). When I was in Massachusetts over President’s Day weekend, I bought a bomber of the limited release Long Trail Coffee Stout, which I brought home to cellar. I know it won’t be long before I try this Imperial Stout (8.0%). More to come later on this brew. 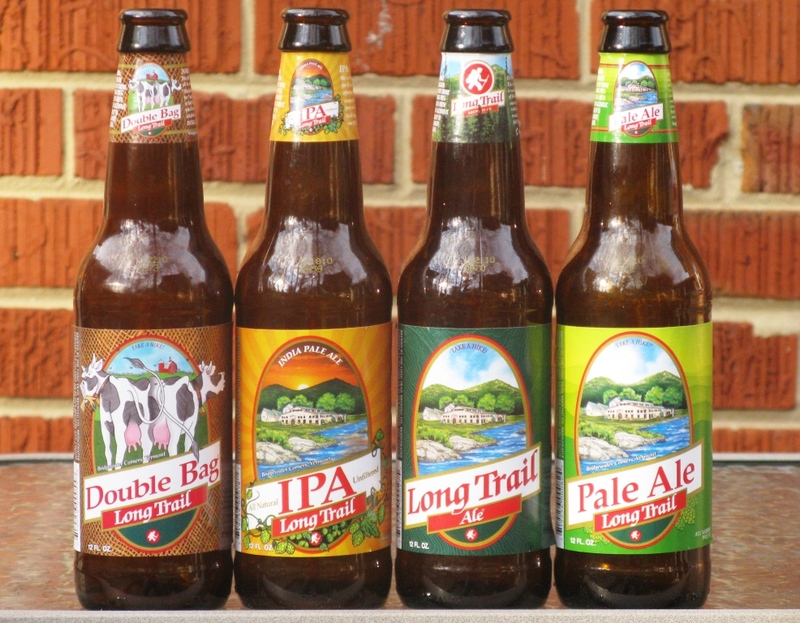 Long Trail Brewing Company is located in Bridgewater Corners, Vermont, and I want to go there — a trip to the Long Trail Visitor Center and Pub has been on my beer to-do list for a long time. The Visitor Center was inspired by the Hofbräuhaus in Munich, Germany, and it overlooks the beautiful Ottauquechee River. The location, along with the Pub’s Brew Menu, makes it sound like the perfect spot to enjoy a pint!